Cass County (pop. 52,293), is east of Berrien County. 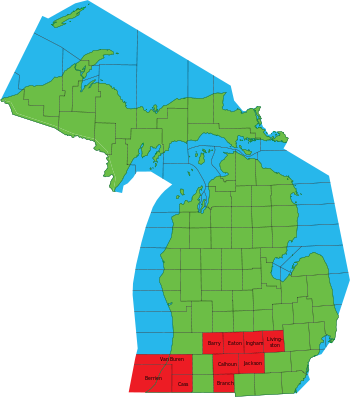 With 508 total square miles, it is Michigan’s smallest county. 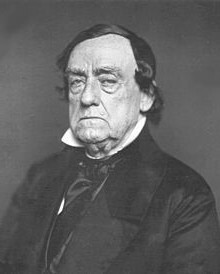 It is one of nine Cass counties in the U.S. and one of eight named for Lewis Cass (1782-1866), territorial governor of Michigan and later secretary of war in the Andrew Jackson administration. 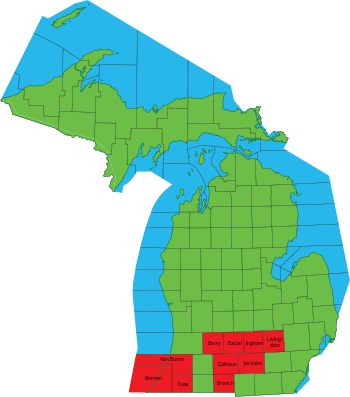 Cass County is considered one of Michigan’s 10 “Cabinet counties,” named for Andrew Jackson and the men in his cabinet (Barry, Berrien, Branch, Calhoun, Cass, Eaton, Ingham, Livingston, Van Buren). Most were created in 1829. The county seat of Cass County is the village of Cassopolis (pop. 1,774). 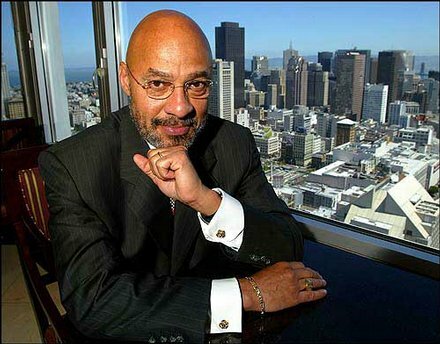 Lawyer-politician Dennis Archer grew up in Cassopolis; Archer has been a justice on the Michigan Supreme Court, mayor of Detroit (1993-2001), and president of the American Bar Association. He taught school in Detroit before becoming a lawyer. The largest city in Cass County is Dowagiac (pop. 5,879). Dowagiac has one of Michigan’s few remaining drive-in movies – the 5-Mile Drive-In. Cass County has more than 100 lakes; the village of Edwardsburg (pop. 1,259) is the home of Lunker’s, which claims to be one of the largest hunting, fishing, and outdoor stores in the U.S. 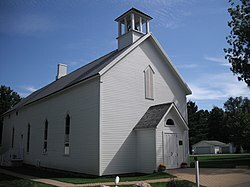 The First Methodist Episcopal Church of Pokagon (1876), in Pokagon Township, was the site of the first public performance of the hymn “The Old Rugged Cross, ” in 1913. 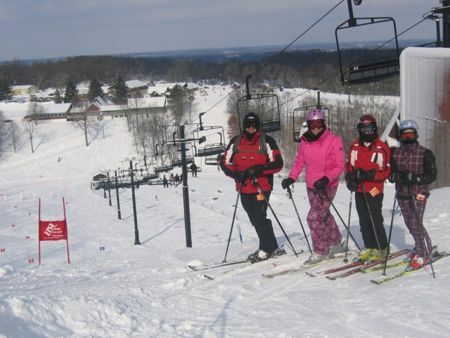 The Swiss Valley Ski and Snowboard Area is in the eastern part of Cass County. 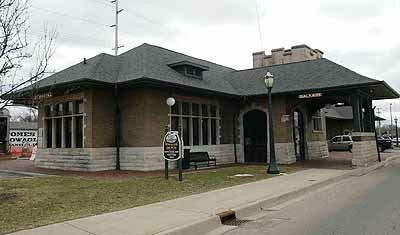 Cass and Berrien counties are in an area informally called “Michiana,” centered on adjacent St. Joseph County, Indiana, and its county seat, South Bend. This entry was posted in Michigan and tagged 5-Mile Drive-In, Cabinet counties, Cassopolis, Dowagiac, Lunker's, Michiana, Pokagon, Swiss Valley Ski Area.